For those of you who are following us on Facebook and Twitter you probably saw the images we’ve uploaded about MAKE a couple of weeks ago. Its a very nice place to work out from it has a very energetic and fun vibe, you will definitely meet a lot of interesting people there working on their projects and conducting meetings. MAKE is founded and managed by Leith Mathews a very busy entrepreneur. If you’ve visited MAKE you must’ve ran into him, he’s always there! 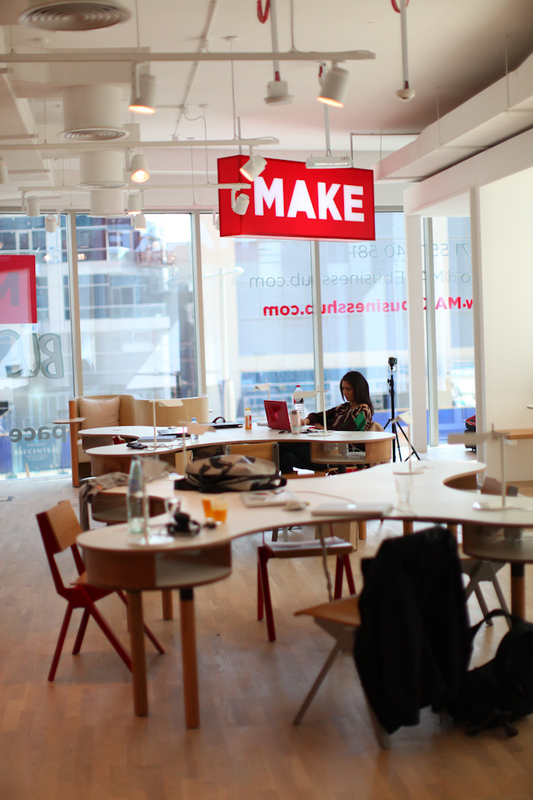 MAKE is an inspiring urban café in the heart of Dubai Marina that provides an environment for nurturing entrepreneurship and promoting connections between like-minded creative individuals. We are an independent venue that believes in young business, big ideas and shaping your own destiny. We want to create an authentic destination where young entrepreneurs and creative mobile workers can network and meet new people. MAKE is much more than a coffee shop where people can work from, it is about creating a real community that targets like-minded individuals from various industries ranging from business owners, freelancers, students, and entrepreneurs to part-timers, journalists and creative to share ideas, advice and most importantly inspiration. What was your inspiration behind MAKE? It was pretty much around one year ago that I drew the line in the sand and quit my job to chase the dream of opening my own business with the every intention of specializing in the F&B industry, given my experience working in that field. During the period of fleshing out ideas for my business and the next big thing, I always found myself working in coffee shops, restaurants or hotel lobbies. One day, I had a look around me and it was then when I realized I was not the only one, and at many times the café looked more like an office than many offices, everyone on laptops working on kick-starting their own little dream business. I found the need for a dedicated space for young entrepreneurs and freelance mobile workers then became the big idea! Have you based it on any other place you’ve been to? As soon as I was set on the big idea, I started researching of similar concepts around the world and taking into consideration the type of space I had hoped MAKE would be one day. I found interesting ideas in places like San Francisco, which inspired me to create that urban feel. 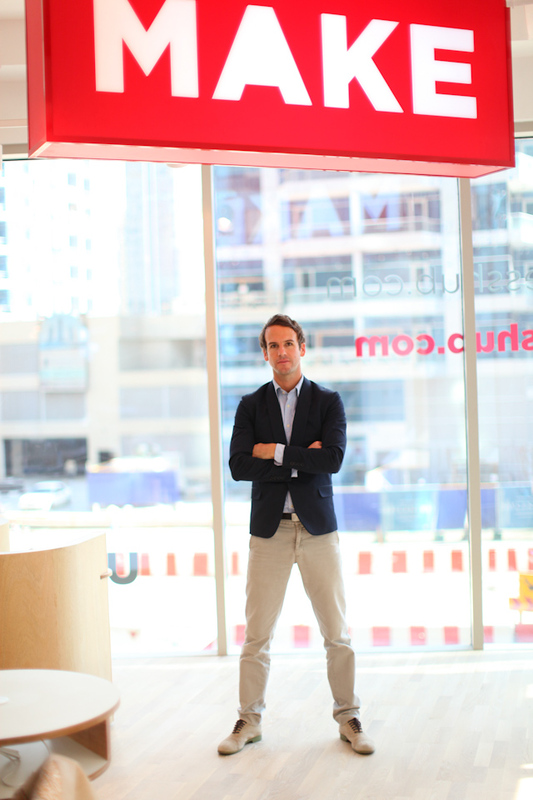 MAKE is designed with entrepreneurs and mobile workers in mind. We ensured that space provides our young and creative entrepreneur a comfortable setting for them to work from and make it happen! The space has a very urban setup that is divided into different areas to give people options; café/lounge area, espresso bar (for a more casual catch up), workstations, meeting pods etc. How did you see people’s reaction to MAKE? I am overwhelmed by the response I have received over the past month. We had a soft launch in January and officially launch on February 13th. During that period, we encouraged people to give us their feedback on the feel and look of the space, the food and the menu and their general impression of MAKE. Considering that we have been opened for less than a month now, we are very happy and pleased with the feedback and are seeing new faces visiting the space every day. We are pleased that we are attracting the right audience. How did you reach a 1000+ likes on Facebook within under a week of opening? I created the Facebook page right at the beginning, as soon as I was set and decided on the idea behind MAKE, which was around 6 months ago. The page was dedicated to document my journey right from the very beginning, outlining all the steps and challenges that I went through to make it happen. I slowly started to see the effect of word of mouth, people started to like the page, sent us support messages, engaged with the updates I posted, commented on everything from the fit out stage to developing the food menu all the way to our official opening. Any tips or advice for people who are planning on venturing on their own? I would definitely have to say that the most important thing is to never lose faith. Once you decide to venture on your own, you will be faced with challenges and obstacles, the most important thing is to never lose sight of what you want to do. If you have an idea that you believe in and are truly passionate about, don’t give up! I would like to thank Leith for taking the time to answer these questions and wish him and the entire MAKE team the best of luck. 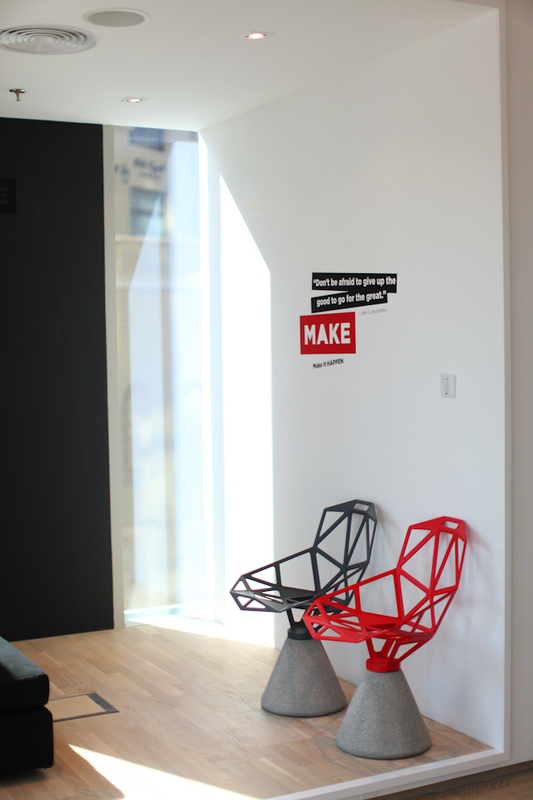 If you’re in Dubai and looking for your new favorite I would strongly suggest you visit MAKE, its truly something else. Hey Sami, it sure is… And thanks for the great idea, we'll contact MAKE and see if they can accommodate something like that. Looks like very nice place and more convenient for our business meetings, especially the long ones. It would nice if they organize monthly networking event. Thanks for sharing this information Tariq.